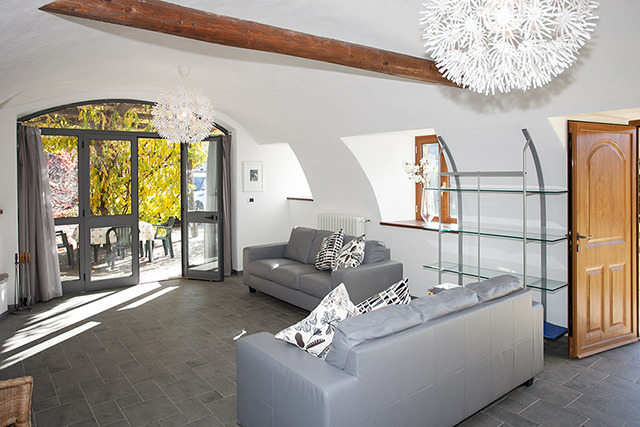 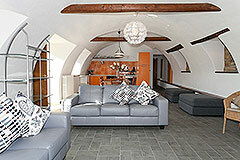 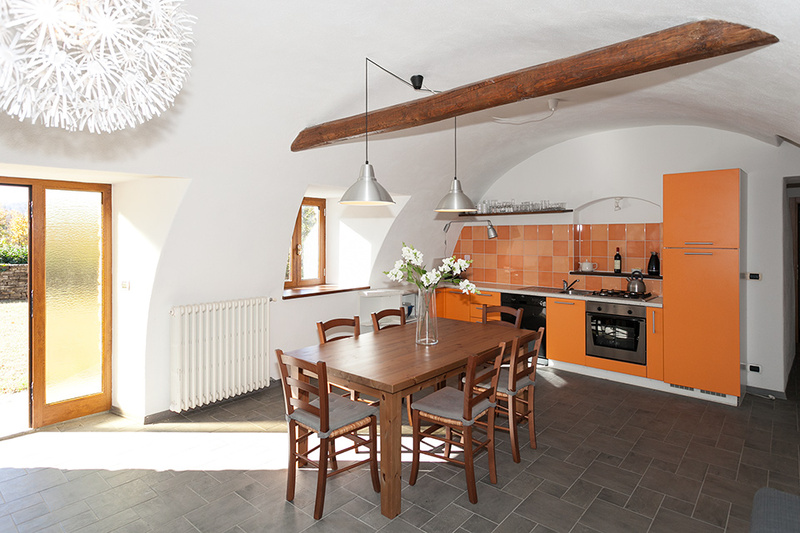 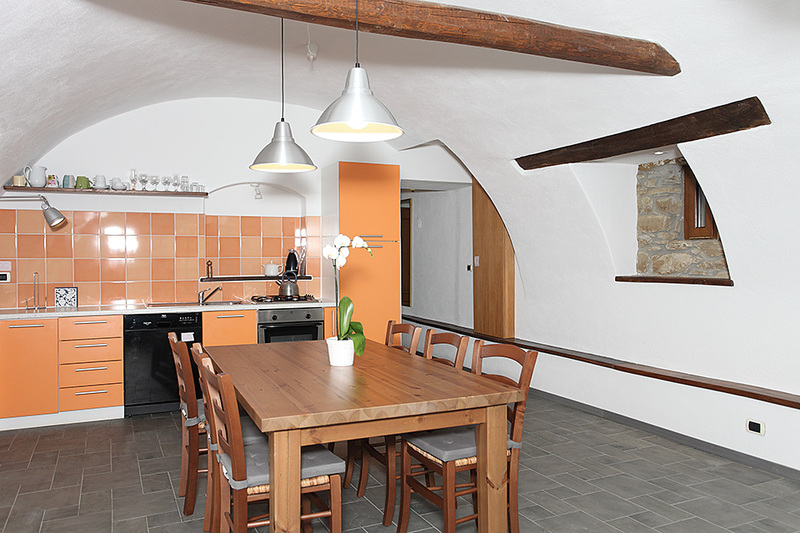 A beautiful ground floor apartment named after its wonderful vaulted ceilings. 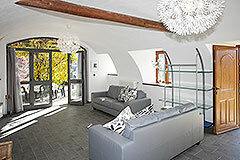 This apartment provides spacious accommodation and includes a private terrace area set within 120,000sq.m of grounds. 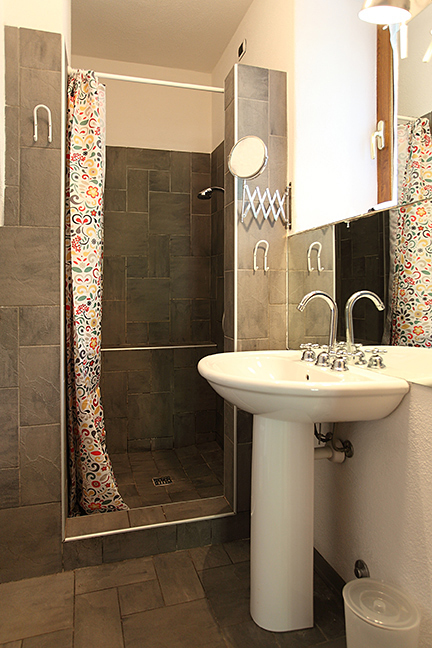 Excellent investment opportunity with immediate rental income. 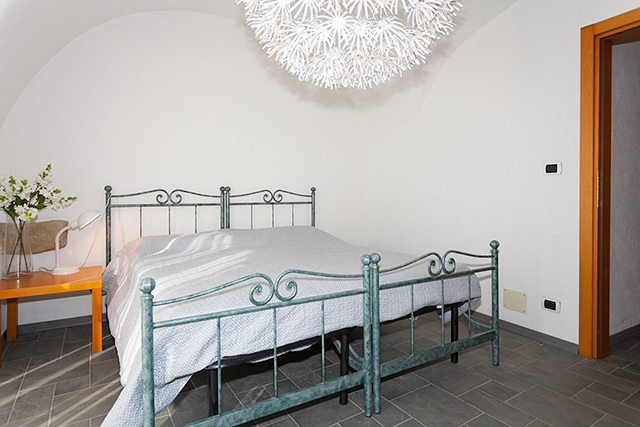 Utilities: All services connected, central heating system with gas and fireplace. 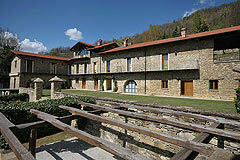 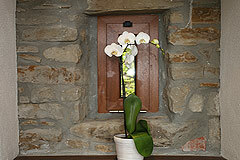 In the heart of the Langhe countryside.... Nearby town boasts portici, medieval buildings, and small cobbled streets. 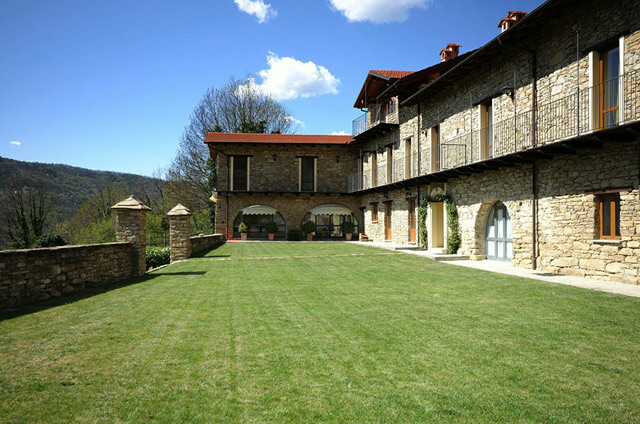 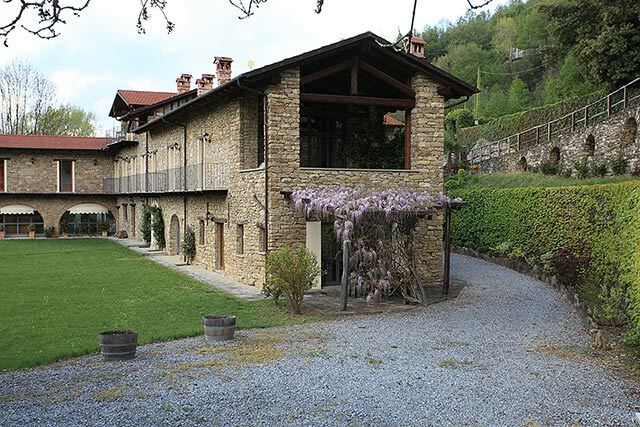 This property is hidden in the countryside in a wonderful tranquil location yet just a short drive to a town that has an excellent infrastructure with fresh pasta shops, butcher, bakers, home made ice cream, bars, restaurants and of course a wine shops/enoteca.... The important towns of Alba and Acqui Terme are close by and the Italian Riveria can be reached within 1 hour. 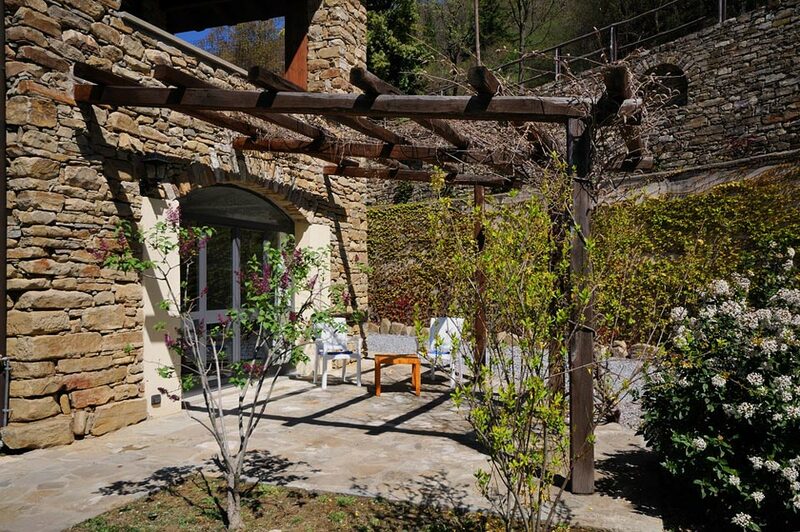 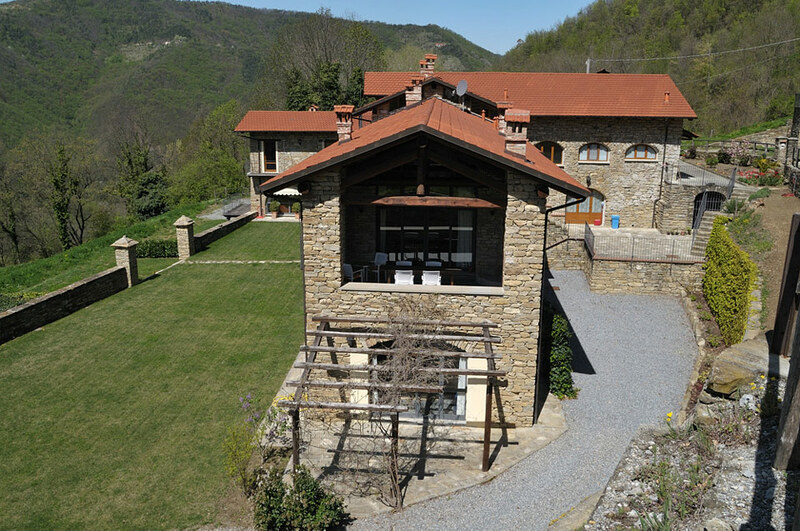 This exclusive small residence enjoys a charming tranquil location, hidden in the Langhe countryside yet just a short car journey to a town that has an excellent infrastructure. 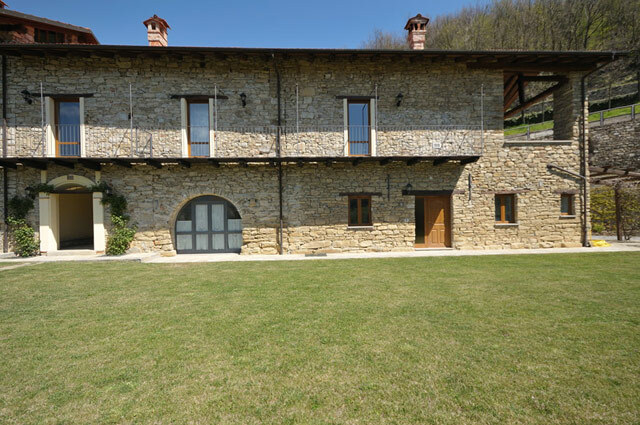 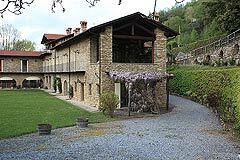 The residence is an ancient cascina (farmhouse) that has been carefully and beautifully restored respecting the local architecture and building materials. The exclusive residence consists of just 7 accommodations, each unique, carefully and beautifully restored in traditional Langhe stone and immersed within the charm, nature and ambience of the Langhe Hills. This apartment is a perfect exclusive vacation retreat with full use of a large swimming pool area and the extensive grounds of 12 hectares. 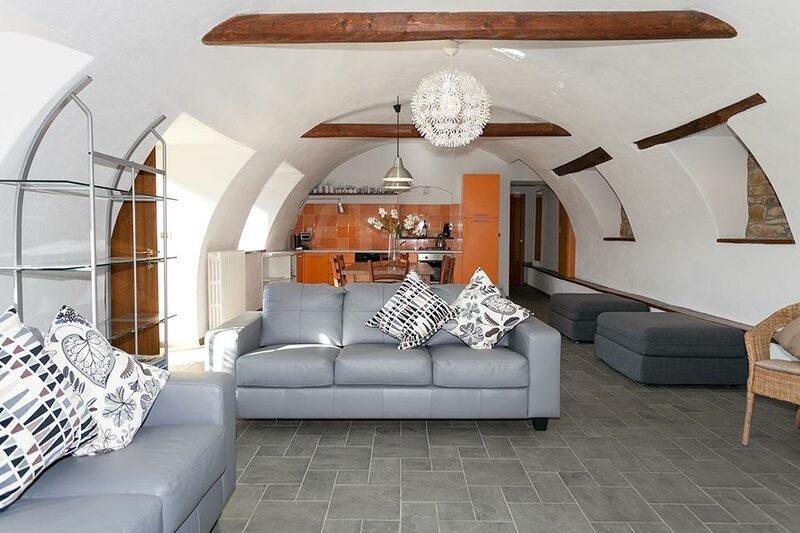 An excellent investment opportunity with rental income potential, this property currently rents successfully from euro 750 per week. 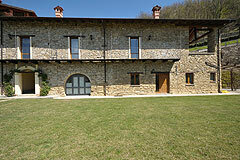 The property is available for sale due to an unforeseen change in the owners personal circumstances. The accommodation has a very open plan feel..., its very spacious and all on ground level characterised by it's stunning vaulted ceiling throughout. 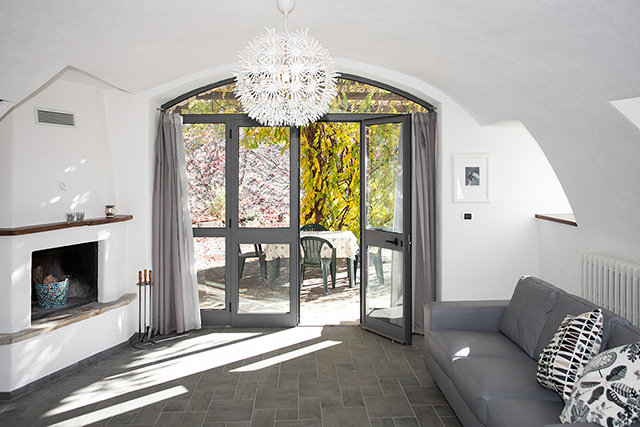 There is a very large open-plan living room/kitchen and dining area, this area has immediate access via a large completely glass area to the private terrace area and extensive grounds. 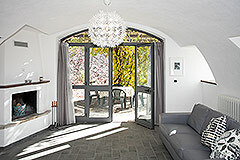 The front of this room is one large glass area which creates a wonderful sunny and bright apartment. 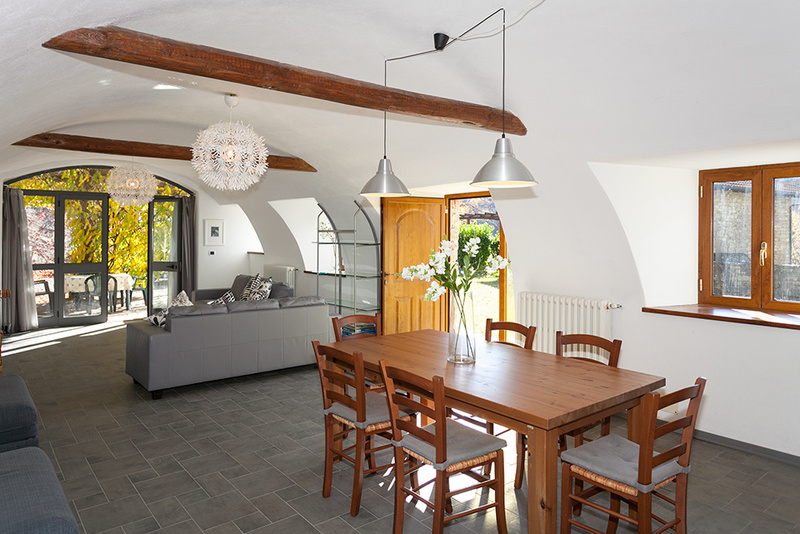 This room could also easily be divided to create a second bedroom if required without compromising the size of the living and kitchen area. 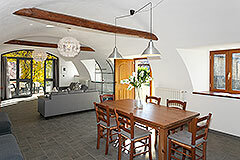 The living area also features areas of exposed stone and an original fireplace. 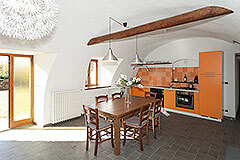 The Kitchen is well equipped with a hob and oven, dishwasher and fridge/freezer. 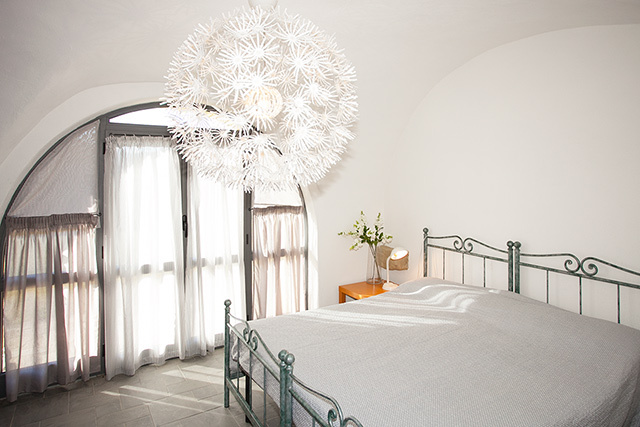 Double bedroom with large arched window. 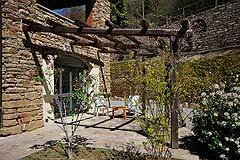 The property has full use of the 120,000 m2 of parkland and woodland. 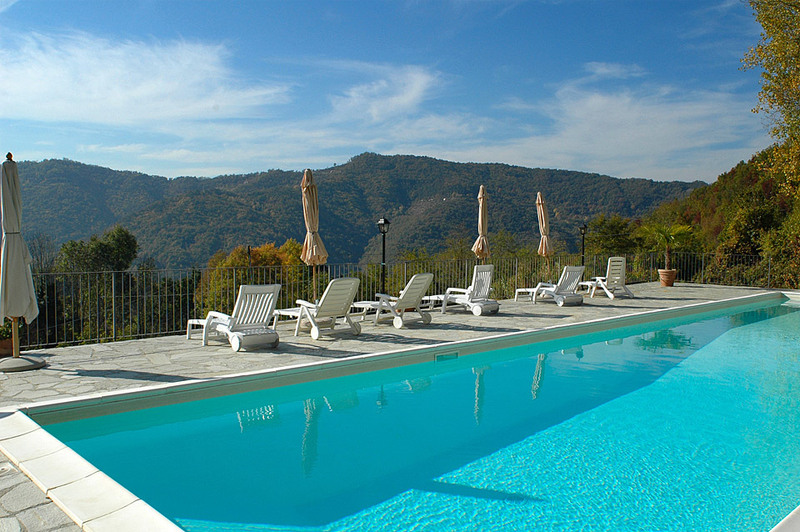 Beautifully maintained large 18 x 5 Swimming Pool set in private secluded position exclusively for this private estate.